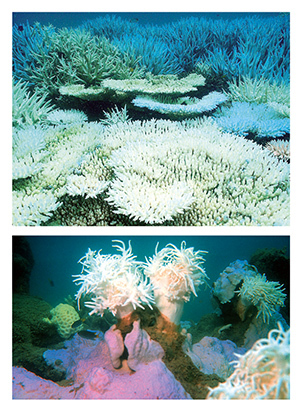 Resource Condition Monitoring — Pro-vision Reef Inc.
Pro-vision Reef Inc. will partner with Fisheries Queensland and the Great Barrier Reef Marine Park Authority to develop a plan for the collection, delivery and synthesis of digital imagery to assist monitoring of resource condition. Pro-vision Reef Inc. will provide selected Queensland Coral Fishery businesses at a range of latitudes along the Queensland coast with camera equipment to capture imagery of resource condition as it pertains to species identified in Ecological Risk Assessment, including those nominated in the CITES Non-detriment Finding. As part of the partnership arrangement, Pro-vision Reef Inc. will provide Fisheries Queensland with the computer hardware and software with which to synthesise and store digital imagery provided by participating businesses. All imagery will be available for use by the Great Barrier Reef Marine Park Authority. This initiative forms part of the culture of collaboration nurtured by Pro-vision Reef Inc. on behalf of the marine aquarium industry on the Great Barrier Reef. It exemplifies the transparency and the commitment to continuous improvement of the fisheries within which the participating businesses operate.